The Radio Free HPC is a joint production by industry pundits focused on High Performance Computing. While there are other HPC podcasts out there, we wanted to create something that was both informative and fun to listen to. And while we don’t always agree, our pledge to you is that we will never let that get in the way. Henry Newman from Seagate Government Solutions. Before joining Seagate, Henry was CEO of Instrumental, Mr. Newman also spent 11 years at Cray Research, Inc. designing complex, HPC systems. 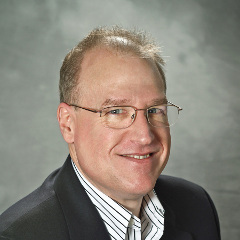 Mr. Newman is an internationally recognized High Performance Computing (HPC) expert and sought after author and speaker. 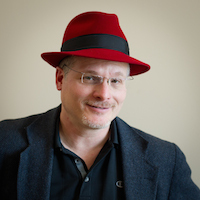 He has designed, analyzed and optimized over 400 of the most complex high-performance computing systems in the world. Mr. Newman has been involved in numerous projects working on behalf of the US Government, defense integrators and vendors in solving the most challenging HPC problems. He is a graduate of The American University. Dan Olds, Partner at OrionX. 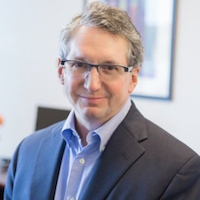 Dan Olds has been in the high-tech arena for 15 years, holding significant positions at Cray Inc., Sun Microsystems Inc. and IBM prior to founding technology research firm Gabriel Consulting Group Inc. in 2002. Through OrionX, Olds closely follows trends in both enterprise and high performance computing. He pays particularly close attention to the way technology continues to fundamentally transform both business and science. Mr. Olds is frequently quoted in industry and business publications, including The Wall Street Journal, Bloomberg News, Computerworld, eWeek and others. He earned an MBA from The University of Chicago Graduate School of Business with concentrations in Finance and Marketing. 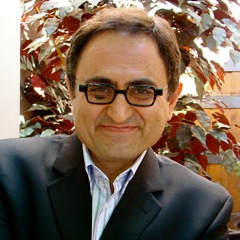 Shahin Khan. A well respected industry figure, Shahin Khan serves on the board of directors of Wizmo (SaaS), Fathym (IoT), and Massively Parallel Technologies (Dev). He is the founder of StartupHPC, is a grass roots community for STEM- and HPC-inspired entrepreneurs. Shahin was interim VP of Marketing at Avni (cloud), DriveScale (big data), 3Leaf Systems (big memory), and ScaleArc (database infrastructure). He was VP of Corporate Development, Intellectual Property, and Marketing at Silicon Graphics and served in executive positions at Sun Microsystems, including VP/GM of the HPC and Visualization products, Chief Competitive Officer, and VP of Product Marketing & Planning. He was Chief Marketing Officer at Electronics for Imaging, and CMO at Azul Systems. He lived in the UK to lead European Marketing for FPS Computing before its acquisition by Cray Research. He was at Cray Business Systems Division until its acquisition by Sun Microsystems. He started his career at IBM. This entry was posted in Uncategorized by rich. Bookmark the permalink.